World Enough Writers, 9781937797065, 320pp. 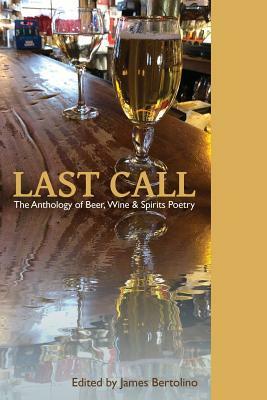 Editor James Bertolino has assembled a diverse and exciting collection of poems that articulates all things alcoholic. Within these pages you will discover Odes, poems about writing, poems set in bars, poems in celebration, poems of grief and loss, humorous poems, poems about nature, and much more. Last Call contains 177 poems from poets in 31 states and 4 countries: US, Canada, India, and South Korea. Included among the 154 poets who give voice to these poems are Judith Barrington, Ellen Bass, Barbara Crooker, Mark Donnelly, Timons Esaias, Paul Hostovsky, Meg Kearney, Tod Marshall, Kathleen McClung, and Michael Waters.